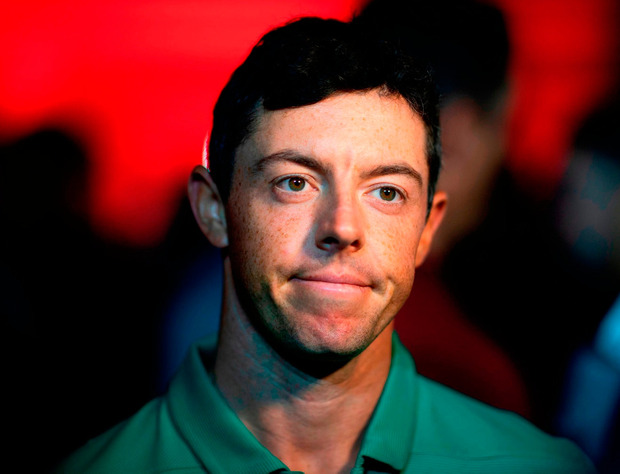 Fears are growing Rory McIlroy will miss next year's Irish Open after announcing his plans to pare down his 2019 European Tour involvement yesterday. The Co Down man said a compressed global calendar will force him to concentrate on the US PGA Tour next year. McIlroy will play in the European Masters in Switzerland due to a commitment to sponsors Omega, but believes the "true European Tour season" does not start until July, when he will decide between the Irish Open at Lahinch or Scottish Open. However, Paul McGinley, who takes over tournament hosting duties from the Holywood star, remains hopeful McIlroy will make the Irish showpiece. "Ultimately in professional golf, it's up to the player and his team to decide on scheduling," McGinley said. "Rory has played a huge part in re-establishing the Irish Open as one of the premier events on the European Tour and we are obviously hoping he continues his support in 2019. We are well down the road on areas of detailed planning and course set-up as we endeavour to make Lahinch an Irish Open to remember." The 29-year-old's decision could also cost him the chance to be Ryder Cup captain later on. McIlroy needs to appear in a minimum of four regular European events, including his home tournament, to become a European vice-captain or captain in the future. But because of the Major calendar revamp, which sees the US PGA Championship moving forward from August to May, the world No 7 is unsure how often he will return from his Florida base to his home tour. "Everything is up in the air," McIlroy said. However, what is certain is that he will be well rested when he starts 2019 proper. After the DP World Tour Championship, which begins at Jumeirah Golf Estates tomorrow, he will play only one tournament in the ensuing 13 weeks, meaning that for the first time he will skip the European Tour's 'Desert Swing' in January. "Everything is going to be so condensed between March and August, and that is why I am taking a big off-season to get myself ready, and to have that break and impose an off-season on myself and then go at it hard from March all the way through to basically the end of the season," McIlroy said. "I've got two events on my schedule in Europe. I am starting my year off in the US (in Hawaii in January) and that Tour will be the big focus of mine up until the end of August and then we will assess from there. "I've a couple of 'pure' European Tour events on my schedule up until the end of August. I guess my thing is that I want to play against the strongest fields week in and week out and for the most part of the season that is in America. "If I want to continue to contend in the Majors... and to continue my journey back towards the top of the game, then that's what I want to do."